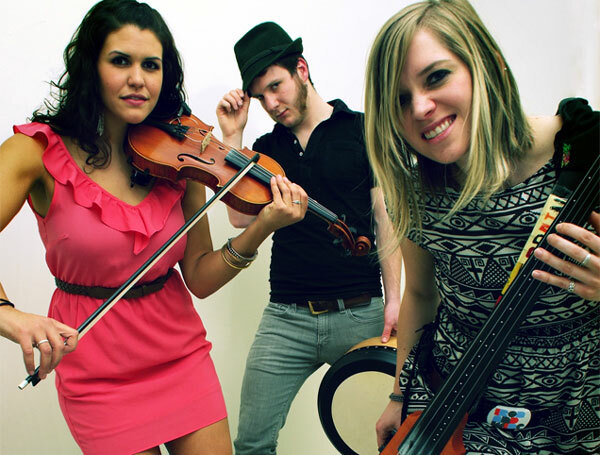 The Moxie Strings (formerly String Cheese) is the electrifying combination of fiddler Diana Ladio and cellist Alison Lynn. With their feel-good melodies and foot-stomping, rock influenced rhythms; these young women put a fresh spin on Celtic and Americana music. Though rooted in tradition, the pair offers listeners the unique opportunity to experience two of the world’s oldest instruments and genres through a young, progressive lens. World percussionist, Fritz McGirr, will perform with the Moxie Strings and will add another spirited dimension to an already high-energy performance. The Dune Climb concert is part of the Glen Arbor Arts Center’s Manitou Music Festival which is underwritten in part by grants from the Michigan Council for the Arts and Cultural Affairs and Oleson Foundation, as well as corporate sponsorships from Art’s Tavern, Cherry Republic, Glen Lake Chamber of Commerce, The Homestead Resort, McCahill’s Crossing Dairy Bar and Motel, On the Narrows Marina and individual contributions.